A big problem with diet is the lack of indulgent foods. By definition, dieting means restricting calories and with calorie restriction comes restricting a lot of your favorite foods. Diet foods aren't usually described as sugary, creamy, or delicious. 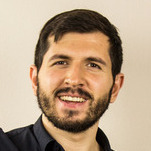 It doesn't have to be that way! Behold, a delicious cheesecake, high in protein, made from natural, wholesome ingredients and perfectly fit for your diet. Couldn't be easier! Just blend the greek yogurt, heavy cream, and protein powder. We recommend using a blade blender so it breaks everything down into a very fine consistency and you end up with a silky texture. This is especially important if you started with cottage cheese. 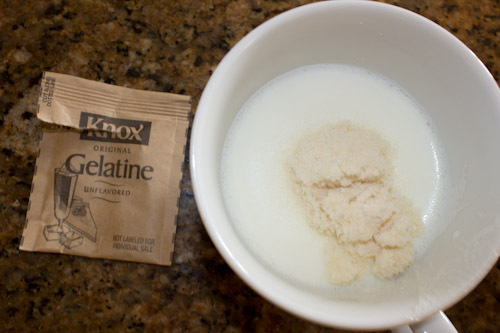 For the next step, boil half a cup of water or milk. We used a microwave and simply heated a teacup of milk very hot. Whisk a gelatin packet into the liquid. Gelatin can get a bit goopy, but don't worry, this cake is not picky. 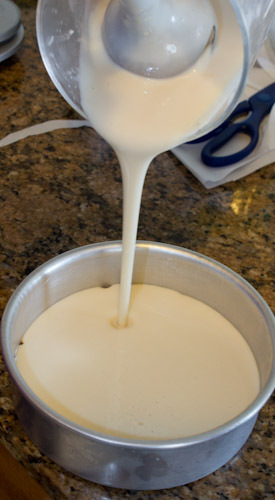 Just whisk as best you can and pour what's fully dissolved into your batter. Then blend away. 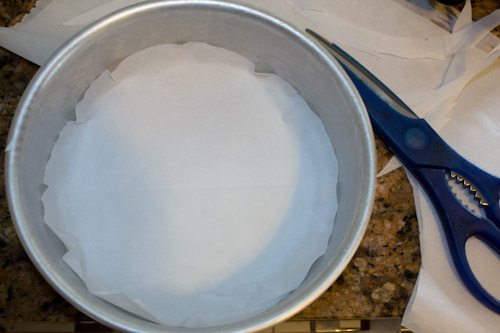 Once you have everything together, cut out a circle of parchment paper to line the bottom of a pan. This handy innovation prevents the cheesecake from sticking. Pour the batter into the pan. You can add in toppings now, or save that for after the cake is fully set. 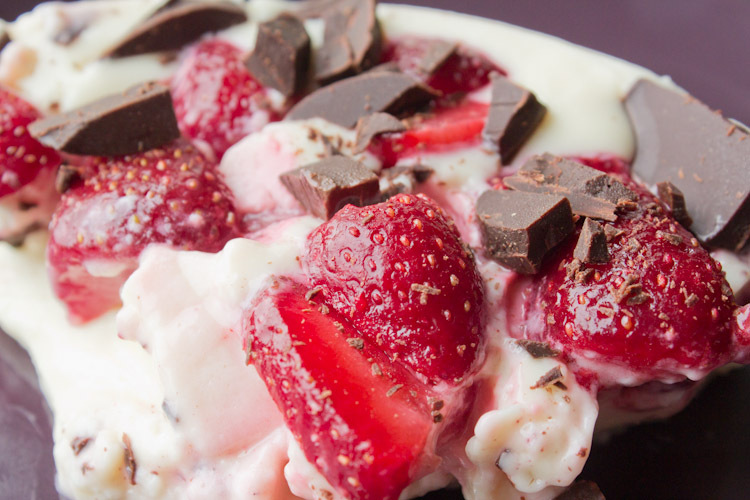 We went with the chocolate and frozen strawberries. Finally, leave the cheesecake in the fridge or freezer until it's at the desired firmness. This will take anywhere from 1-3 hours. If you use the freezer, remember that actually freezing the cake is counterproductive, and be sure to check back on it frequently. We made a pretty straight forward vanilla version, but you don't have to stop there. Experiment with other protein powder flavors, toppings and even making a crust. Mix oatmeal, oatbran and butter or light butter in a blender. Don't grind it too finely, you want a bit of texture. Then follow the parchment liner with a layer of oaty crust, before pouring in the batter. Microwave some frozen strawberries until they start to break down a bit. This only takes about a minute. Stir with a fork to encourage them. Reheat in 30 second intervals until enough liquid has evaporated to concentrate the sauce. If you'd like to sweeten it, consider splenda, stevia or a very small amount of sugar (1-2 tsp). 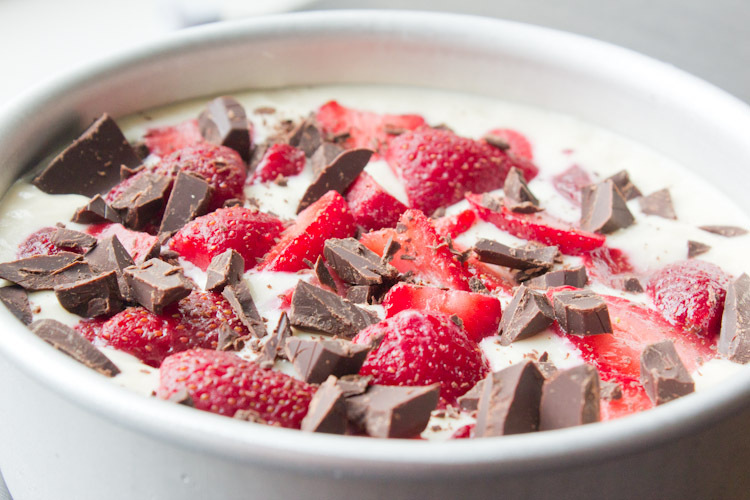 So there you have it, a delicious dessert-meal for when you want a break from your standard meals or a little extra something for your refeed. I wouldn't have this everyday though since it's not very filling, and not really a balanced meal in itself. Still, it's a great healthy dessert option.